When we hear the term "fitness boxing, " we typically think of Rocky Balboa: Lean, fast and fit, hard working, and tough as nails to survive a beating. And what a beating he takes hardly something that many of us would be willing to participate in! True, the game of boxing can be brutal at any level, due to the violent nature of the sport. However, if we remove the whole pummeling-and-being-pummeled part, we are left with a workout that not only builds endurance, power and strength, but one which can be enjoyed by everyone. 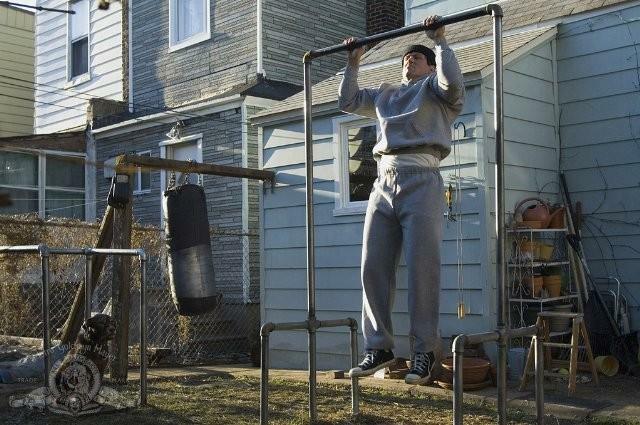 Remember how Rocky had all those drills and exercises which made him so tough? They can all be mimicked in a modern boxing workout, without the chicken chasing, of course. No, fitness boxing workouts are not just for the young, the punch-drunk and the brave. In fact, even Mom and the kids can take part in what is one of the fastest growing workout trends in Western Australia, and have fun doing it. Add to it the many modern boxing gyms which feature boxing training not only for adult men, but also for women and kids, and we can safely surmise that fitness boxing is for everyone. An average 70kg boxer burns around 700 calories per hour of sparring--more than the average 640 calories a 70kg runner would burn in the same amount of time. This is because not only do boxers need the strong legs and cardiovascular system of a runner, but also upper-body power, quickness and speed as well. This means that fitness boxing picks up where running leaves off. By working fast twitch power muscles along with slow twitch endurance muscles in the upper and lower body, our cardiovascular system has a lot to keep up with. This makes our entire body much stronger than running alone does. Want an easy way for the kids to develop healthy cardiovascular systems, muscles, speed and endurance? Put them in front of a punching bag, and they will do the rest, no need to encourage them to do what kids love! Or how about that annual 10 k race you've been training for--want to beat last years' time? A boxing workout may be just the cross training you need to get you across the finish line faster. In fact, in terms of pure endurance, fitness boxing may just be the best workout around. And for the good news? Anyone at any age can participate, and there are classes available for everyone. So, the desk job isn't doing your waistline much good? Does the desert tray have you losing the battle of the bulge? Boxing may be just the answer to your fat-burn prayers. Sure, there is that exercycle which you can sit on for hour after boring hour. However, fitness boxing is not only more fun and engaging, but it also burns more fat than steady-state aerobic exercise. No, there is nothing wrong with steady-state exercise, which does improve aerobic fitness. However, there are more efficient ways to burn fat. Boxing workouts incorporate intense interval training, which mimics what a fighter goes through in 3-10 rounds (without the getting punched part, of course). Interval training, a type of workout where intensely hard efforts are repeated after brief recovery periods, is the best way to burn fat. Not only does it improve fat oxidation rate during performance, but after as well. Yes, you heard that right, not only will you lose the unwanted kg's in the boxing gym, but afterward when you have your feet up relaxing. It seems that when we are recovering after an interval workout, our muscles continue to burn fat as they remove lactic acid and hydrogen ions and replace them with glycogen, does it get any better than that? The workout also engages a variety of muscle groups, meaning there are more muscles burning calories than there would be on the stationary bike. What this means is that if you are looking for a weight loss and fat-reduction workout routine which WILL melt away the pounds, fitness boxing is just the ticket. Want to exercise not only your body, but your mind as well? There are many mental benefits to boxing fitness, not just for you, but for but for young, developing minds as well. First, there is the endorphin release from exercise, something which you may already be familiar with. Want the kids to settle down? Send them to the speed bag for an hour, and what angels they will become! This is because when we exercise, our bodies produce natural opiates, or endorphin, which make us feel relaxed, focused and oh-so-wonderful. This alone is reason enough to get the whole family into the boxing gym. However, there are other mental benefits. Boxing also requires hand-eye coordination, as well as strategic planning and quick thinking. These aspects require mental focus and agility, which in turn build mental sharpness and strength. Many of us also have aggression to release, and there is nothing like a speed bag with which to get them out. Nobody gets hurt, and we feel great afterward! What could be better? Conclusion: Everyone into the Gym! When it comes to fitness workouts, it is hard to find any as fun and engaging for everyone as fitness boxing. If you have had enough of one dimensional, cookie cutter workouts which leave you less than fit, look no further than Kings Boxing Gym. With kid's classes and women's classes available, there is no reason to leave anyone out of the fun. By combining anaerobic intervals with bag work, weights and eye/hand skill enhancement, it is nearly impossible to be bored or out of shape! What more do you need in a workout?